When homeowners in the Milton, Florida, area are looking for pergola covers, they turn to the best in the business – Majors Home Improvement. As a local, family-owned business, we have been helping homeowners by providing quality home improvement products, top-notch installations, and excellent customer service since 1997. We maintain an A+ rating with the Better Business Bureau, which is proof that we truly go the extra mile to ensure our customers are completely satisfied with our products and services. Your pergola cover will be installed by our talented team of factory-trained craftsmen. They will provide Red Carpet Service at your home, which means going above and beyond to ensure that you and your home are treated with the utmost respect. This includes keeping a clean worksite, being mindful of your plants and other landscaping, silencing cell phones, and much more. 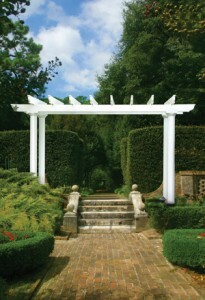 Contact Majors Home Improvement to learn more about our pergola covers and installation services.